Jessica Barnes is a Clinical Social Worker, a Student Postpartum Doula, and Mom to a busy one year-old son. With over ten years of experience working with parents and families during difficult times, people choose to work with Jessica for her compassion, empathy, and humour. Her therapeutic speciality is birth and postpartum challenges, as she loves seeing clients build resiliency, gain confidence, and truly enjoy parenting. She has spent a decade in the social work field working with individuals and families during times of great stress and difficulty and is trained in the therapeutic approaches that research shows help people the most. Her holistic approach to truly understanding the people she works with allows her to help them in real, meaningful ways. Jessica graduated from the University of Toronto with her Master of Social Work. For the past six years she has worked in the fields of child welfare and custody and access assessments. 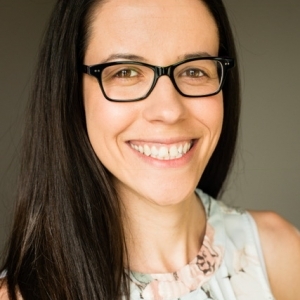 Jessica has a Certificate in Maternal Mental Health and hascompleted training in the following areas; trauma, attachment, parenting after divorce, parent coaching, Emotion Focused Couples Therapy, Mindfulness, Cognitive Behavioural Therapy, Dialectical Behavioural Therapy, and Parenting Capacity Assessments. During sessions, I help people identify goals that would make the greatest difference to their well-being. I believe a holistic approach is necessary, so we examine physical, emotional, spiritual, and relational well-being. In my experience, compassion and empathetic listening are often the most useful interventions I can provide. From my lived experiences and knowledge of evidenced-based interventions such as Mindfulness and Emotion-Focused Therapy, I work with clients to make their goals a reality.